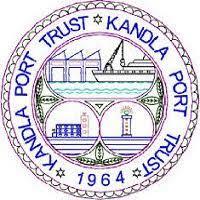 Deendayal Port Trust (formerly Kandla Port Trust) has published Advertisement for below mentioned Posts 2018. Other details like age limit, educational qualification, selection process, application fee and how to apply are given below. (ii) the proficiency in computers shall be judged through typing test, etc. on computer in MS WORD, MS EXCEL, etc. For Junior Engineer (Civil): Degree in Civil Engineering OR Diploma in Civil Engineering with 3 years‘ experience. Basic Pay Rs. 16,300/- in the Pay scale of Rs. 16,300-38,200 and other admissible allowance as applicable. Total emoluments will be approximately Rs. 28,000/- per month. Basic Pay Rs. 21,000/- in the Pay scale of Rs. 21,000-53,500 and other admissible allowance as applicable. Total emoluments will be approximately Rs. 36,000/- per month. Candidates are required to pay intimation charges/Application fees online from 12th March, 2018 to 31st March, 2018 (both dates inclusive) by following the instructions for online payment given under the link provided at www.kandlaport.gov.in under ‗Recruitment Section‘. ● Selection Process: The selection will be made on the basis of performance in ONLINE examination, proficiency test as applicable, weightage of educational qualification. There will be no interview for the above Class III posts. The selection of shortlisted candidates for the above posts will be subject to verification of required documents as indicted in this advertisement, in original. Non submission of requisite documents by the candidate during this process will disqualify his candidature from further participation in the recruitment process. Further, in case it is found during verification that requisite documents do not meet the prescribed criteria, his candidature will not be considered any further in the recruitment process. ● How To Apply: Interested Candidates may Apply Online Through official Website.